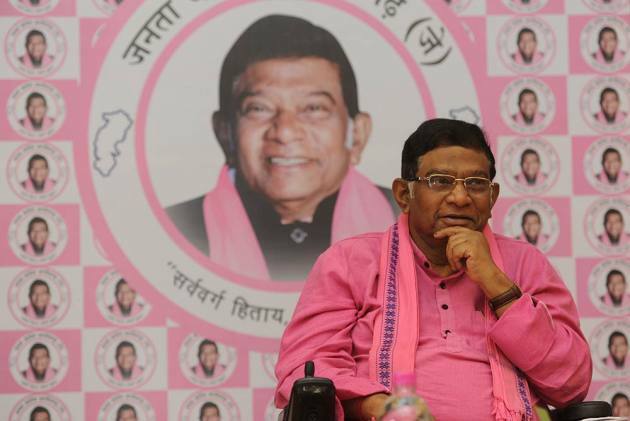 In the run-up to the Chhattisgarh assembly polls, Ajit Jogi, the state’s first CM, seems confident of a good show. After quitting the Congress, Jogi floated the Janta Congress Chhattisgarh (JCC) in 2016. A seat-sharing agreement with the BSP and the CPI is in place, and the bur­eaucrat-turned-politician hopes to make significant gains in the elections to be held on November 12 and 20. He tells Preetha Nair that his fight is against the BJP as the Congress is irrelevant in the state. There has been a spike in Maoist violence. Two policemen and a Door­darshan journalist were killed in Dantewada in the latest attack. Has the Raman Singh government failed to tackle the guerrillas? Raman Singh has failed to control the law and order situation. He is putting everyone’s life at risk. I have been visiting the place regularly. Despite 50,000 police personnel deployed there, the situation is still out of control. The government has failed on all counts. You are now contesting from Marwahi instead of Rajnandgaon, where you had earlier proclaimed you’d be taking on CM Raman Singh. Why this change of mind? Alliance dharma forced me to contest from Marwahi. I was not in a coalition when I initially decided to contest from Rajnandgaon (the CM’s constituency). Now, my allies want me to campaign in all 90 constituencies, which would be impossible if I were to contest from Rajnandgaon. In contrast, people say I don’t even need to campaign in order to win the Marwahi seat, which I had won before by the highest margin. The Congress alleges that you are helping the BJP by not contesting from Rajnandgaon. The Congress is the BJP’s Team B. How dare they allege that I am in league with the BJP? Raman Singh had got me arr­ested on false murder and robbery charges, and slapped false cases on my son also. How come he hasn’t filed any cases against Congress leaders? How did the alliance with Mayawati happen and why did you project her as the PM candidate for 2019? The alliance took only three hours to materialise. We are like-minded parties and have known each other for long. Mayawati was kind enough to give five seats to the CPI and is contesting 30 seats now. JCC will be contesting 55 seats. And yes, I do think Mayawati is the most competent candidate for becoming PM in 2019, in a non-Congress, non-BJP setup. Who is your main rival—the BJP or the Congress? Our fight is against the BJP. The Congress is finished here; they have no leader to project. 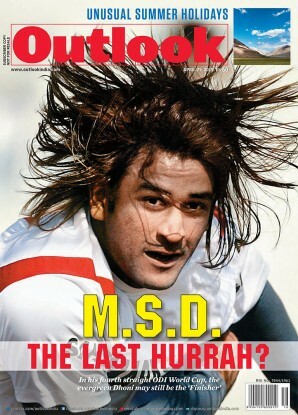 They are in disarray as they don’t have Jogi anymore. The BSP and our JCC are like-minded parties. And Mayawati is the most ­competent PM candidate for a non-Congress, ­non-BJP setup in 2019. What are your expectations from the 39 seats reserved for SCs and STs? Adivasi votes are divided among the Congress, the BJP and the BSP. As a tribal, I am confident of getting the maximum voteshare from them. Last time, the BJP got nine of the 10 SC seats because SCs comprise only 20-25 per cent in those seats. The non-SC majority voted for the BJP. We will put up strong SC candidates this time. At least two former Congress MLAs are contesting on JCC tickets this time. Are you looking at more dissidents from the Congress camp? No, my list is complete. Now they are running after me for tickets, but I don’t want those who didn’t come with me in the beginning. Your wife, Renu Jogi, is still with the Congress. Will she contest on a Con­gress ticket? She is waiting for the Congress list. I don’t think she will join our party. You said you won’t say anything against the Gandhi family. Is that a sign that there could be a patch-up in the future? I have always maintained good relations with the Gandhi family. In fact, I was almost a part of the family since Rajiv Gandhi’s days. That relationship will never vanish. Politically, though, we take different lines. You have always maintained that reg­ional parties can defeat the BJP in general elections. Can we expect an alliance with the Congress if a grand alliance happens in 2019? I can’t say anything about the Lok Sabha polls. There could be an alliance with the Congress. In my assembly, however, I won’t have any tie-up with the Con­gress. We already have a formidable all­iance in place.